They may not look all that fashionable, but these wonderful devices are indispensible in the part of the world I live in, with the kind of weather we have been having lately. 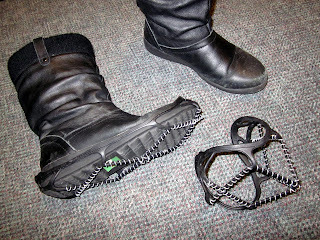 They are called Yak Traks, and you stretch them on over the bottom of your boots or shoes. 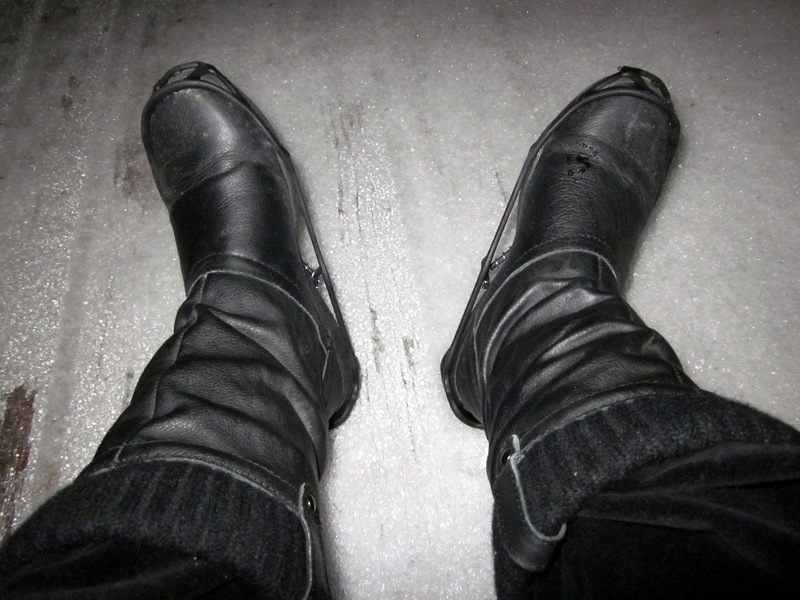 They are amazing and give your boots real traction on the ice. 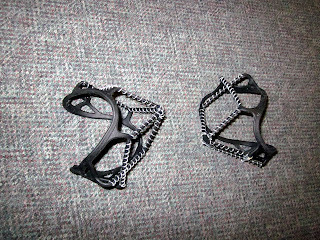 There - ready to go walking on ice such as this 2-inch thick patch on my front deck. I wore them this morning when I went to work and didn't slip once while all around me, people were sliding and falling. 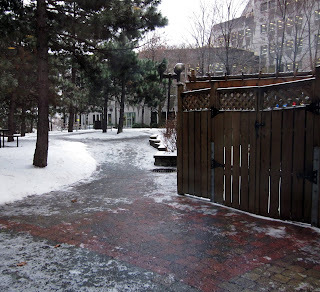 We had another nasty onslaught of freezing rain last night and this morning. I think this one was worse than the bout of freezing rain we had a week ago. It created glare ice on the roads and sidewalks and walkways, like this one. It is frightening to have to walk on this stuff. But now I have my wonderful Yak Traks and I feel really secure. 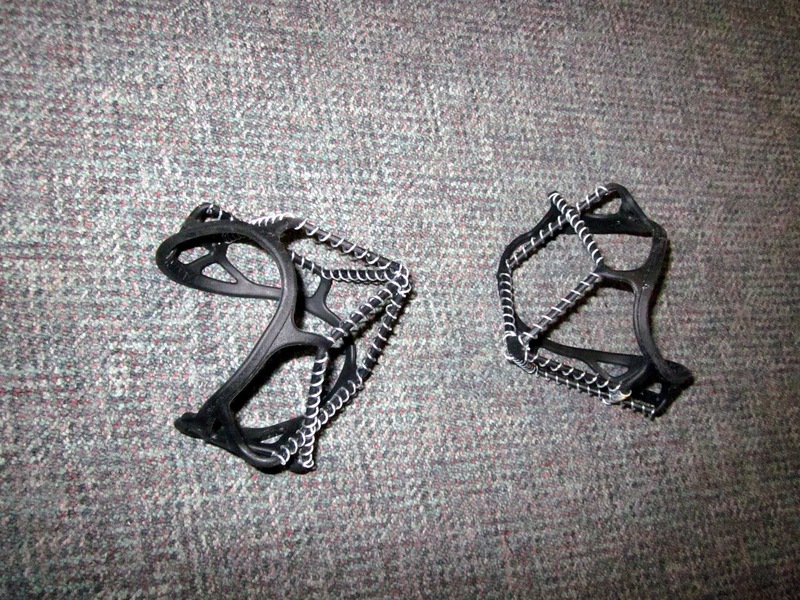 Fashionable or not, they are what every woman should wear on treacherous ice like this. How wonderful! I must see about getting some...thank you for telling us about them. Really interesting. Something I have never seen before, living in a tropical country. Oh, absolutely. Wouldn't go through winter without them.